Guild drama, been pretty free of it since I joined Immersion, we did have a small hiccup a few months ago when the GM and an officer (friends in the real world too) decided that as we had killed the Lich King they had finished WotLK, which is their decision and its not a bad one if your circumstances demand more out of game than you can commit with the game as a hobby. Anyway I digress, the issue I believe started back a few weeks ago when our Shadowmourne bearer finally got his first Lich King kill and therefore his box of goodies. Fair play to him he agreed at somepoint that as the guild had helped him get it that the guild should get the goodies out of the box, the system devised was complicated and was a combination of raid attendance, DKP and a dice roll but it gave everyone a chance of winning one of these uber rare in game items. Long story short the winner of the 1st choice was an officer who hadn’t actually raided for months but was always on standby therefore earning DKP and attendance. A small debate ensued and the officer in question actually declined to choose and the items were all handed out. The GM was upset by the attitude of the guild and said as much to us, but as a rank and file member nothing more happened. On its own this type of event would be unremarkable and whilst the person affected would have a right to feel bad would not cause major guild drama, then the officer left stating the reason as the guild no longer felt like the guild of old, a bit dramatic but I can empathise with the feeling having been there before. As a rank and file member nothing really changed, we continued to raid, recruit people to fill gaps in the roster as our members with casual attendance became even more casual or announced breaks for whatever reason. However, I suspect that there was much debate going on amongst the officers and then I got wind of the GM being ready to quit the game, which was not a good piece of news to hear as we had already had a GM change just after our first Lich King kill. The only issue this time was that many of our officers were new and that meant that the GM spot was likely to go to one of the 2 longer serving officers. One was likely to be unpopular as some of our members did not appreciate his forthright approach to communicating especially during raids, although I personally was never offended by him even if his comments were directed at me because the guy never lied and he was only speaking out loud what many of us were thinking. The other option was really a mirror image of the first a quite unassuming fellow who was possibly just too damned nice. 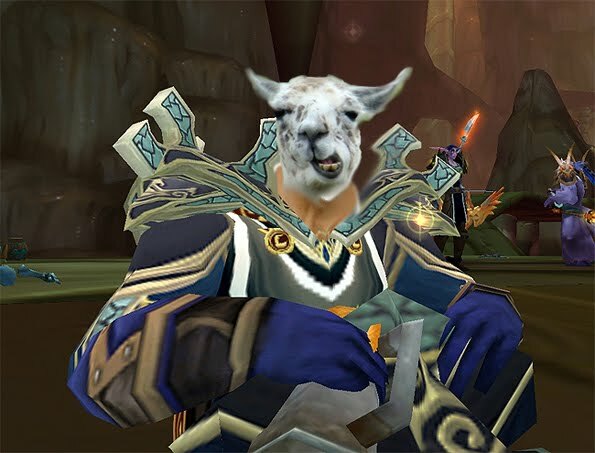 After a few weeks the GM still had not quit and I suspected that the rumour I had heard was just that, then a new warlock appeared in guild as a trialist despite never applying. It turns out he was a raider previously and left the guild when he stopped raiding at the beginning of WotLK and was friendly with a few of the officers and they decided to invite him. To me this was no big deal but others were deeply offended. To make matters worse the guys gear sucked and partly due to that and his lack of current rotation knowledge his DPS was below that of our tanks even on solo targets. The officers called a guild meeting and this matter was discussed in length and sadly this made matters worse and soon after the GM announced that he was quitting to concentrate on his real life. That night people started leaving, first it was a pair of our better performing DPS, they were quickly followed by some newer members who obviously keen to desert the sinking ship before they got consumed in the fallout, then a couple of officers left and it just kept spiralling. Now, Immersion, the once proud and highly successful guild lies battered and bruised barely able to get a team of 10 together to raid anywhere let alone be at the cutting edge as we were just 2 weeks ago. Friends I raided with since Molten Core have set up with some of the others in a very elitist 10 man guild looking to farm the content on 10 man hard modes and I sincerely wish them the best of British, I was not invited to join the group which does sadden me but that is not the WoW I want to play anyway, sure I want to see all the content but I’m not sure I want to lose the fun from the game and for me their world is now one of raiding by numbers not for “shits n’ giggles”. So now the future looks like a casual 10 man guild that may (but will probably not) expand into a 25 man group pre or post Cataclysm. My initial reaction was doom and gloom but I’ve met all my pre-Wrath goals so the time between now and cataclysm is more of building more friendships in game and having fun with some of the other people I have neglected over the past few months. As for my Immersion future? Who knows, but for now, I’m staying put because there is really nothing to achieve by moving and I feel I owe it to the people that have also not jumped ship as it is during these times you learn who you can depend upon in times of crisis. As for Cataclysm? I really don’t know as there are very few guilds that raid at times that are convenient for me that raid to my style, why that is beats me though because I am sure not the only middle aged family man with a job in the EU!